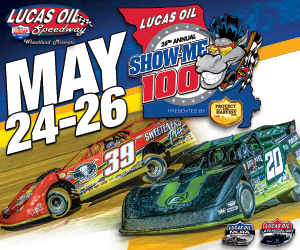 The Show-Me 100 weekend kicks off with a special $6,000 to win/$600 to start show on Thursday night dubbed the "Cowboy Classic" in honor of longtime MLRA Owner/Promoter Allen "Cowboy" Chancellor plus the Pitts Homes USRA Modifieds will be running a complete event with $600 going to the winner on Thursday night as drivers race to earn valuable points into Saturday’s main events. 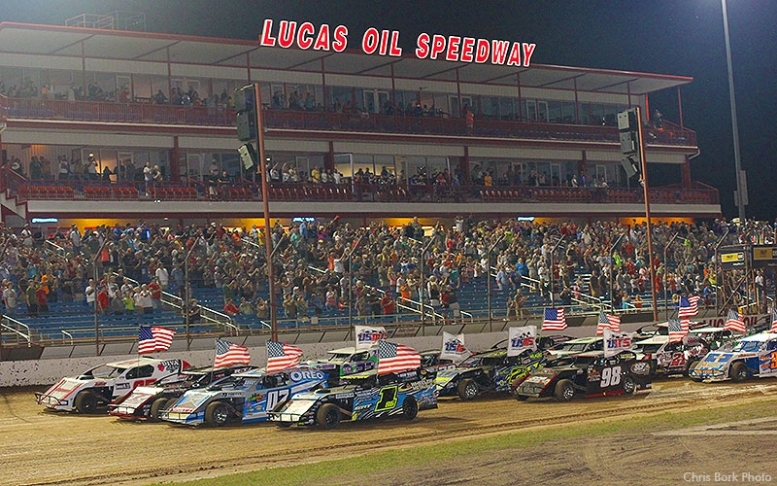 Dirt Late Model Hall of Famer Scott Bloomquist captured the win in the inaugural Cowboy Classic in 2014 while “Superman” Jonathan Davenport took top honors in 2015 and 2016. Jacksonville, Florida’s Earl Pearson took his turn in Victory Lane in 2017.